TRANSFORMING OUR WORLD – You’re Invited! 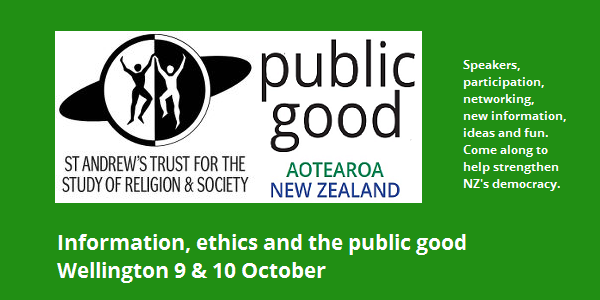 Information, Ethics and the Public Good: Who can we trust?How can public participation help solve policy problems? Hui E! Trust Board – new Trustees: Register to Vote! 10. Health and Safety Reform: Fact or Fiction? The final report of the Productivity Commission on “More Effective Social Services” is out, with 16 pages of findings and recommendations, and it has taken some account of the record number of submissions they received. Several of the group that analysed the Draft report for us back in June will give their views on how it has all turned out. 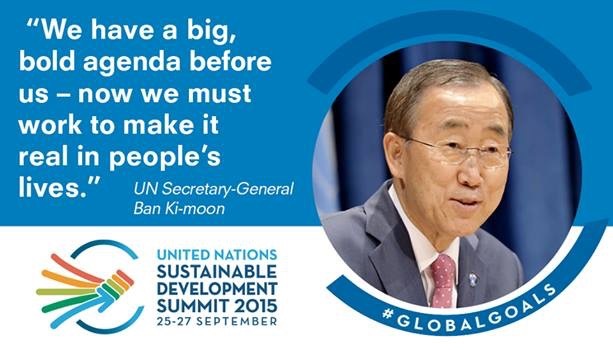 The Sustainable Development Goals (SDGs) were signed off at the United Nations in late September, by the great majority of member nations. This is about the future of the planet and everyone on it. What is the special role of community and civil society organisations? Hear from the Rt Hon David Carter, Speaker of the House, and a panel of diverse speakers about what the Global Goals will mean for people and the environment both here in NZ and in the Pacific. This event is sponsored by David Shearer MP and Dr Kennedy Graham MP. RSVP: to Sarah at sarah@unicef.org.nz by Friday 2nd October. Information, Ethics and the Public Good: Who can we trust? Save the date for a fascinating, involving conference and workshop. How can public participation help solve policy problems? The State Services Commission, Institute for Governance and Policy Studies at VUW and the Australia and New Zealand School of Government invite you to a thought provoking free lunch-time seminar on using public participation to help solve policy problems. Please join award-wining collaborative governance and conflict resolution researcher, Associate Professor Tina Nabatchi and Head of Market Research and Engagement at Auckland Council, Kenneth Aiolupotea. Dr Michael Macaulay, Director of IGPS, will moderate the seminar. Register online to attend the lunch-time seminar. Bookings are essential. CALD is a programme to assist participants to gain an understanding of the challenges CALD clients face when accessing services and for participants to develop skills in cross cultural competency to aid successful interaction with CALD clients. The programme was developed by the Waitemata DHB and Refugees as Survivors NZ (Auckland) and successfully piloted in Wellington and Palmerston North by Refugee Trauma Recovery in 2009. Since then it has been delivered in several other cities. CALD is of particular relevance to all health professionals whose patients/clients are from refugee and migrant backgrounds. It is also open to professionals from the social services. This programme is CME recognised as well as meeting cultural competency training requirements within many professions memberships/registrations. The fee of $200 covers morning and afternoon tea on both days, manual, venue and equipment as well as covering most of the cost of the accredited trainers,. Post a cheque to: Refugee Trauma Recovery PO Box 11469 Wellington 6142 or deliver to 186 Willis Street (level 6) Wellington. Registration is not complete until payment has been received. If you require a tax invoice, please let us know. We have called for nominations for three new members of the Hui E! Trust Board, from the organisations that have signed up as Formal Supporters of Hui E! Nominations close on Friday October 9. The 3 successful candidates will join the six inaugural members, who will retire over the next three years. Trustees should bring a range of experience and skills – our skills matrix includes strategic thinking, Te Tiriti o Waitangi, commitment to Hui E! Purpose & Principles, critical thinking, organisational structures & systems, financial management, legal issues, knowledge of the whole sector, ability to focus on both national issues and regional diversity. Our Annual Meeting will focus on business issues. We’ll hold a face to face meeting in Wellington, but invite people in other centres to beam in via video conferencing. If you are able to host a group in your town or city to video in, please let us know. This was a chance to express some concerns, and ask questions, about the implementation of the Empowering Communities Approach (ECA). Graham Bodman and Cissy Rock outlined the ECA, and provided some information about how it will be implemented. There will be 18 “brokers”, mostly working in Local Board areas, who will be a key point of contact between the Council and local communities. There will be a “Community Hub” of 50 to 55 people, which will include some people with specific subject expertise, available as a resource for the whole Council and for the community. Local Boards will have a key role in defining local community priorities, and in making local funding decisions. A small planning group which set up the meeting outlined to Graham and Cissy some of the sector’s questions and we began the process of addressing those. There is a strong desire on the part of both parties to set up an ongoing process so the community sector can participate in the practical implementation of ECA. For example, it will be important to develop processes to deal with sub-regional and region-wide issues that affect a wider area than just one or two Local Boards. Sector people repeated our desire for more regular forums with Council as the ECA roll-out gets underway. Already there are other similar meetings planned with other groups: – in Central Auckland, Western Auckland and possibly South Auckland. We’ll keep feeding out information about progress. The working group is open to people who wish to progress this kaupapa. Contact one of the group members – currently Denise Bijoux (Inspiring Communities), Peter Glensor (Hui E! ), Mary Dawson (ARMS), Pat Watson (Hui E! ), Tony Mayow (which group do you choose Tony? ), Kaeti Rigarlsford (People First), Cheryll Martin (Volunteering NZ). We are keen to keep good coordination of the community responses, and to keep the momentum going, especially while the practical implementation of ECA is still being worked through. Already there are practical suggestions that Council might set up a Q & A Forum, where the community’s questions and the Council’s responses can be posted. A reminder that nominations are now open for three new Trustees of Hui E! A notice about it is posted on our website – www.huie.org.nz – and nominations close on Friday October 10. Each nominee must be nominated and seconded by a Formal Supporter of Hui E! and will write a one pager – why do I seek nomination and what do I offer. It’s very quick and easy to become a Formal Supporter. Sign up on our website – www.huie.org.nz – confirm you support the kaupapa of Hui E! and give your contact details. It doesn’t cost anything and you can take part in choosing some of our Trustees. We are building good links with a wide range of groups within our sector. Recently we were there to help celebrate the launch of Environment Hubs Aotearoa – a new network of local environment centres. We’ve opened dialogue with the Akina Foundation – set up to support and promote social enterprises. The Thinktank Charitable Trust – a philanthropic trust – has linked up with Hui E!, as has the RobsonHanna Trust – a collective of groups focussing on issues about justice. Groups range from the very local (Eastern Suburbs Lions Club) to large national groups like Barnardos. Take a moment now and link your group up. I was honoured to speak at the AGM of Community Waikato recently. We all honour the work of Andrea Goble who has recently stood down as CEO, and we welcome the new CEO, Holly Snape. Community Waikato is a fine example of a regional body working effectively to build capability and capacity within the sector, and linking together the diversity of our sector. The Hui E! Trustees have approved Terms of Reference for a Tiriti Working Group – mandated by our Trust Deed to support the work of Hui E! and to help us follow the principles of the Trust. More details will be available shortly about this new group, and how people in the sector can connect up with the Tiriti Working Group. My own warm thanks to Maisie Sanderson for the excellent work on the large survey we conducted for the Department of Internal Affairs on community/ government interactions. The survey itself is reported elsewhere in this newsletter, but we owe Maisie our thanks for a job well done. In November, Dave Henderson will be chairing a meeting in Istanbul of AGNA – national associations of NGOs, just like Hui E! Dave has been chairing this group for two years now, and his costs of attending the meeting are met by international contributions via CIVICUS – of which Hui E! is the New Zealand representative. Forward notice that the second meeting of national umbrellas or networking organisations will be held on Friday November 13th, in Wellington. Formal invitations will be coming out shortly. Hui E! has written to all Ministers highlighting the specific areas of the SDGs that are relevant to their particular portfolios. There are 17 overarching Goals and 169 specific areas where UN member states will have to set domestic targets. In the letters we are emphasising the expectation, spelled out in the signed goals, that civil society in each UN member state will be involved in a partnership with government to set the targets under each goal. We have begun to receive replies, from a range of MPs from our contacts at government agencies we hear “progress has begun”. This paper, commissioned by Bond Beyond2015UK, sets out a range of options for UK cross government implementation of the sustainable development agenda. It explores options for monitoring progress and promoting accountability, with the aim of generating a discussion on what comes next now the framework is agreed. 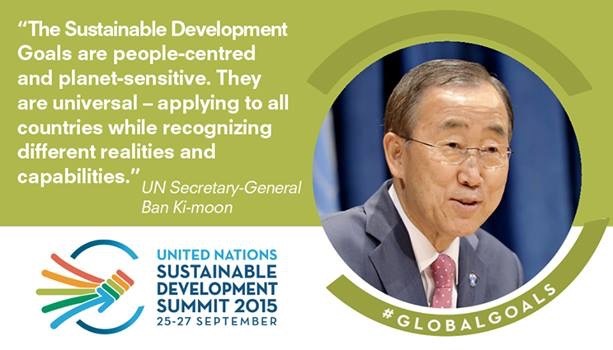 Ambassador for the Post-2015 Development Agenda from Sweden. One should be cautious about grand pronouncements. Will we be justified in trumpeting a new dawn out of that most unlikely of places, the UN Headquarters in New York? The Minister of State Services has approved public release of the final draft New Zealand Mid-term Self-assessment of its progress on the Open Government Partnership, for a two week period from this week. State Services Commission will manage this release directly on behalf of the New Zealand government. Lodgement of the final report to the OGP international body was scheduled for September, but an extension has been sought to enable this final public consultation on the draft. SSC expects to conclude the consultation and finalise the report on the week of the 12th of October. It is with great sadness that I inform you that Don Gray, Deputy Director-General Policy, passed away on 15 September. He leaves behind many friends and colleagues who will miss him and remember him as a dedicated, passionate and committed senior public servant. Many of us at Hui E! 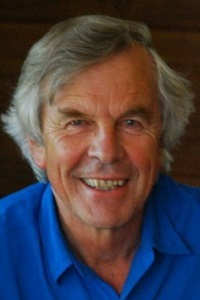 and in the broad sector had the pleasure and privilege to work with Don over the years, and he will be greatly missed. First things first, the purpose of any engagement is critical. So, who set up the engagement, and what is their purpose? Why do they want to meet with Māori? What are their objectives? What does success look like? You need to clarify this up front. This may be iterative. But you need to land on this as soon as possible. Experience has taught us the number one way our not-for-profit qualifications are introduced to new students is through word of mouth referrals. Despite consistent outstanding positive feedback on the programme, our numbers are slowly declining – we believe because of issues the sector is currently facing. To keep our numbers up and keep the programme viable we need to build our numbers. If you know of anyone who has expressed an interest or who you believe may be interested please do send them our way. If your organisation sends out a newsletter and would like an article or are able to promote us in anyway, we would be grateful if you could please also get in touch. Fees-$776.40 per course. Scholarships are available. The Financial Markets Authority are consulting on whether charities issuing debt securities should be subject to standard Financial Markets Conduct Act 2013 (FMC Act) obligations. The FMC Act requires organisations offering debt securities to disclose certain information and to have a licensed supervisor. Currently, registered charities whose total planned or existing debt is $15 million or less, are exempt from similar requirements under the Securities Act 1978, which lowers their compliance obligations. This current charities exemption is due to expire on 30 November 2016. We are reviewing whether similar relief should be given under the FMC Act. We propose that no exemption be granted to charities issuing debt securities, and to subject them to standard FMC Act requirements. We would like your feedback on our proposal. Submissions close on Thursday 5 November. All comments should be submitted to consultation@fma.govt.nz with the subject line: ‘Charities raising funds through debt securities: [Your entity name]’. The changes to the Health and Safety legislation have caused a lot of angst and concern amongst many organisations. Much of this has been caused by misinformation and common misunderstanding about this legislation. Hence it is refreshing to find experts who can provide some clarity. The following article is from Law firm Hesketh Henry is a useful explanation of some of the key changes in the law in this area. For any queries regarding the article, contact the authors at Hesketh Henry direct. Our thanks to RSM Hayes Audit for passing the article to Hui E! People’s concerns generally seem to be based around this type of argument: the new legislation is going to stop anyone having any fun, because if anything goes wrong, then both an entity and its directors will be prosecuted and face huge financial penalties and/or prison. A recent example is the complaint raised by the Primary and Secondary Principals’ associations that things like camps, playgrounds and sports could all be affected by the new Act.